*SYDNEY* New South Wales. Renovated, bright & private, open plan inner-city warehouse conversion. 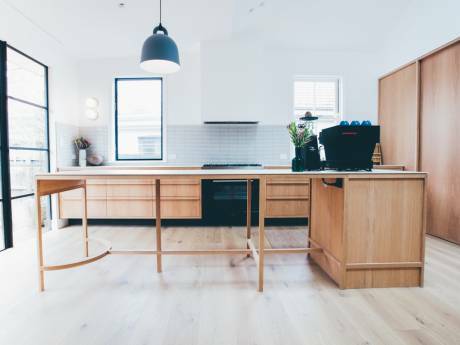 Our house is a lovely, open plan modern warehouse conversion in the inner city suburb of Camperdown, Sydney. The house is bathed in light, with high cathedral ceilings. Skylights and windows let in plenty of natural light throughout. Sliding floor-to-ceiling glass doors open up to a cute but substantial paved courtyard with table and chairs, fish pond (they really look after themselves!) and a plentiful herb garden and clothes line. Downstairs is large open plan space with separate lounge areas at either end (one end has an Italian designer sofa that folds out into a king-size sofa bed: it's very firm but great for extra guests) and dining table in the centre. Looking into the living areas downstairs is a modern, stainless steel kitchen with dishwasher, microwave, espresso machine and all the other useful kitchen bits you would expect! The entire downstairs area features polished hardwood floors. There is a laundry downstairs too, with a shower, toilet and washer and dryer. The upstairs bathroom features a deep bath tub, shower, toilet and wash-basin and a bright skylight. Three air-conditioning units (one in each room upstairs) are also reverse cycle for cooler months, but there is a fire place to cosy up in front of in the lounge room. Entertainment wise, we have a large flat-screen LCD TV with stereo / DVD. We have a large collection of (great) DVD's and hundreds of movies / documentaries / TV shows also available on hard drive which is hooked up to an Apple laptop so you can watch direct on the TV. Cable too! We have high-speed wireless internet and will leave one of our Apple laptops at the house for you to use during your stay. We would treat your home with the utmost respect and care. 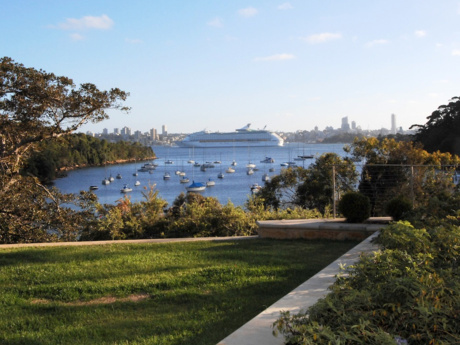 Camperdown is situated in the popular inner city ("the inner west" as it is known to locals) suburb of Sydney. It is a really desirable suburb, with families, professionals, artists and musicians living side-by-side. We've lived here for over 2 years and in other parts of the Newtown area for over 12 years. We are on the cusp of Newtown, home to famous bohemian King St.
Just around the corner is a great bottle shop (liquor store) with an eclectic selection of wines and gourmet beers. There is also a corner shop a 3 minute walk in the other direction. We are lucky to be surrounded with lots of parks, both big and small, and a plethora of restaurants, cafes, pubs and shops all within close walking distance. 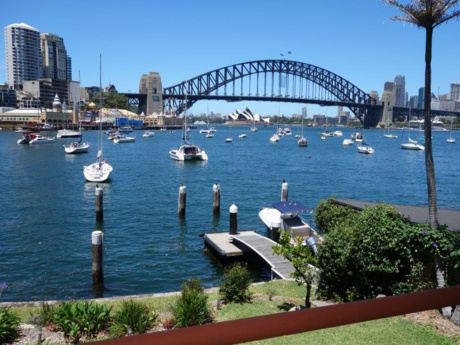 We love Sydney, and this area is our favorite place in the city. Close enough to all the "touristy" things you may or may not want to take in, but smack bang in the middle of where the 'real' inner-city Sydney-siders live. We are Josh and Louise, both non-smokers. We are a couple in our 30's and together we run a graphic design and film company, working mainly with the music industry. Louise designs a lot of book covers, cd covers and children's books and Josh is a Designer and also a Director. We love 60's and contemporary design and our home is decorated with a mix of vintage designer furniture, new pieces and limited edition music and film posters.